Welcome to San Jose, CA! Comfort and convenience await at Courtyard San Jose Airport. Our hotel features a paramount location near Levi’s® Stadium, Santa Clara University and California’s Great America. We also provide our guests with a complimentary shuttle service to and from Norman Y Mineta San Jose International Airport. Following a day of explorations, rest easy in our spacious rooms housing plush bedding, pullout sofas and private balconies. Entertainment is also just a click away with our complimentary high-speed Wi-Fi and flat-panel TVs featuring premium cable channels. Awake renewed and start your day with a Starbucks® drink and hot breakfast at our on-site restaurant, The Bistro. Come back to see us for dinner and drinks featuring handcrafted cocktails, flavorful wines and craft beers. Craving more? Put in work at our well-equipped fitness center before winding down at our outdoor pool. Book your room HERE: StarQuest International Friends & Family and type in “STQ” under the “Group Code”. 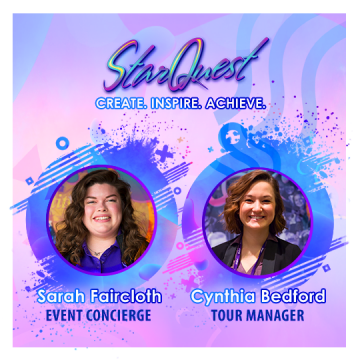 OR call the Marriott reservation line at (800)321-2211 or (408)441-6111, make sure and refer to the StarQuest International group to receive the special group rate. Available until April 25, 2019.